That’s a lot of history for a relatively small town. Sounds like fun! It looks as though Morgan Freeman needs to spend some of his money on a can of paint! It’s a little rough around the edges. This brings back memories of my growing up in the Memphis area since I was 11 until I transferred to my first duty station in the Navy. Back then, in the 1970s, there were no riverboat casinos, those museums weren’t there, at least not as they are today. The biggest sign then was the sign for Delta State college. Highway 49 was, and still is, the only bridge crossing the Mississippi River between Memphis and Greenville, Mississippi. What one would see driving on Highway 61 would be miles and miles of cotton fields, sharecropper shacks and those small speed trap towns. It was reminiscent of the Old South, during the Antebellum days before the Civil War, and was the result of the “Carpetbaggers” of the Reconstruction. 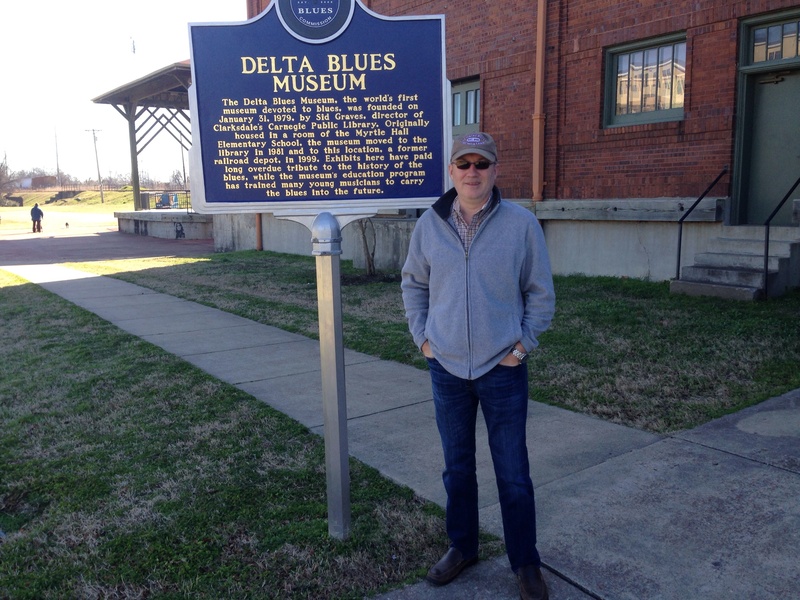 One could see why the Delta region of the lower Mississippi is the birthplace of the blues, and what most people do not realize, the old spirituals, that gospel music started from the laborers in the cotton fields. This music came from the soul, hence the term “Soul Music” of that era. Singing among the field hands helped them keep rhythm of the ergonomics of the work they were doing. “Choppin’ cotton,” the regional term for chopping the weeds out of the cotton fields is hard, laborious and high energy work (speaking from personal experience). To keep from hurting oneself, a rhythm in the motion of swing a how into the dirt, and chopping the weed, they sang. During the autumn, when the cotton bolls were white and fluffy, the fields would look like snow, back before cotton pickers, the field hands picked it by hand, putting in those big sacks draped on their backs until they weighed about 100 lbs. then they would dump it into a trailer. Again, arduous work. They sang, again keeping their minds off of the monotony and pain from such hard work. 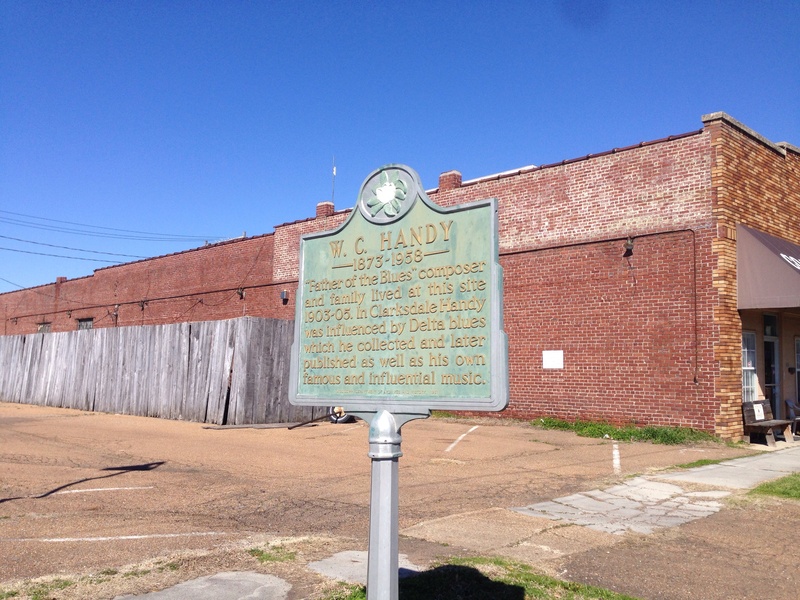 I do thank God and the circumstance of my dad’s job transferring him from Louisiana to Memphis to see this area and learned first hand the history of the Old South portrayed in history textbooks and to experienced the Memphis music scene and growing up in the very roots of that music. Thanks for the comment. That must have been an interesting time to live in the area. 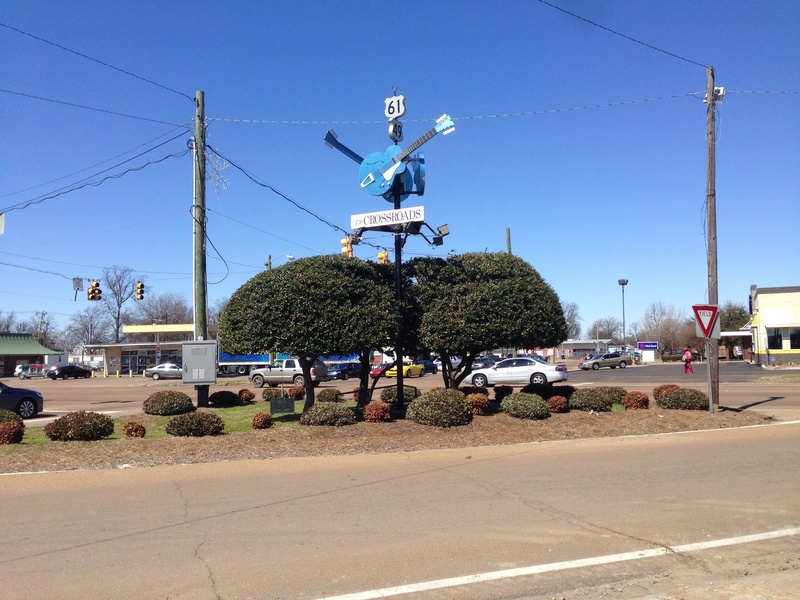 I imagine Clarksdale was one of several cotton towns in the area. A small town but filled with money from the industry. All of them looked up to Memphis, the cotton capitol. The whole time the industry was built on sharecropping. 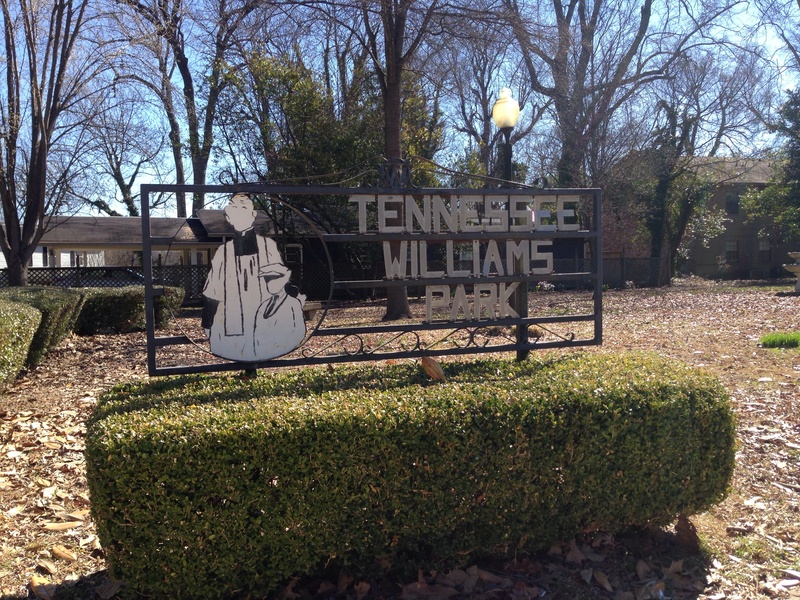 As we went through town, I explained to my parents about spirituals and the roots of music in the area. Despite the hardships, people were able to add greatly to our culture. Thanks for your comment. Memphis was super cool in the 1970’s, as far as the music scene. Not just Soul and Gospel, but Rock (I was in the booth when ZZ Top recorded “TV Dinners”), but also country. I never met Elvis, but I met his dad, Vernon during his last days when I worked at Baptist Hospital. I have a lot of stories, and they can make some good topics for future postings. To be in the spots where history was, and to see the old living amid the new is one of my favorite parts of traveling. So did you hear any blues while you were there? Ironically, I didn’t hear any Blues. We went in the morning, and I guess Blues is better played at night. Or earlier in the morning. That was a great day for you and your parents….So much history there in that little town…really fascinating….all that talent! It was definitely a great day. History is made in all kinds of places and in all kinds of ways. Amazing … I had just finished listening to Steve Vai & Ry Cooder guitar duel from Crossroads (1986) before I read your article. True! – I’m synchronized – if nothing else. Thanks for the interesting history lesson and background surrounding the legend/myth of Johnson’s … deal. Wonder if there’s more truth to that than we’d like to know. We tend to put legend in the places where we have few facts. Not much is known about Robert Johnson. There are even three gravesites. Crossroads was not a great movie, but that last guitar duel was awesome. I think your photos are great! 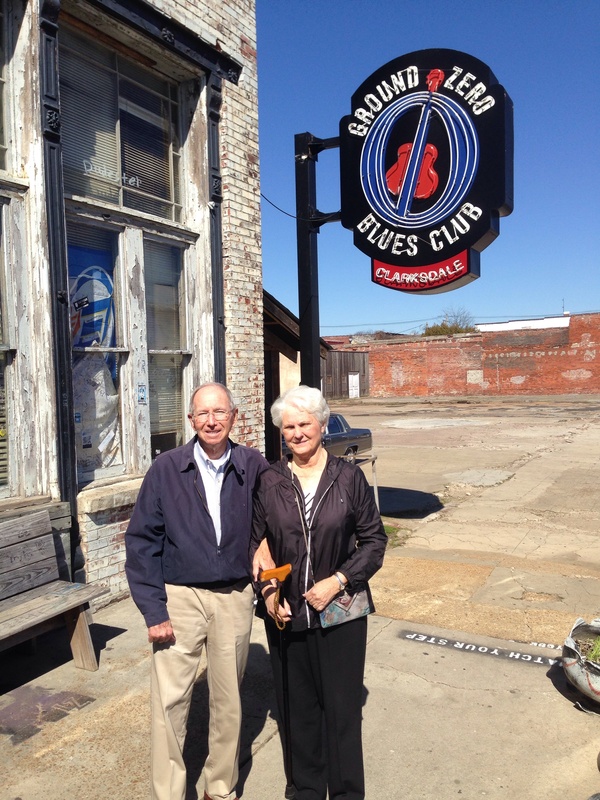 I don’t think that I’ve ever been to Clarksdale, although I think I have probably sold my soul way too many times. Thank you for reading and for commenting. 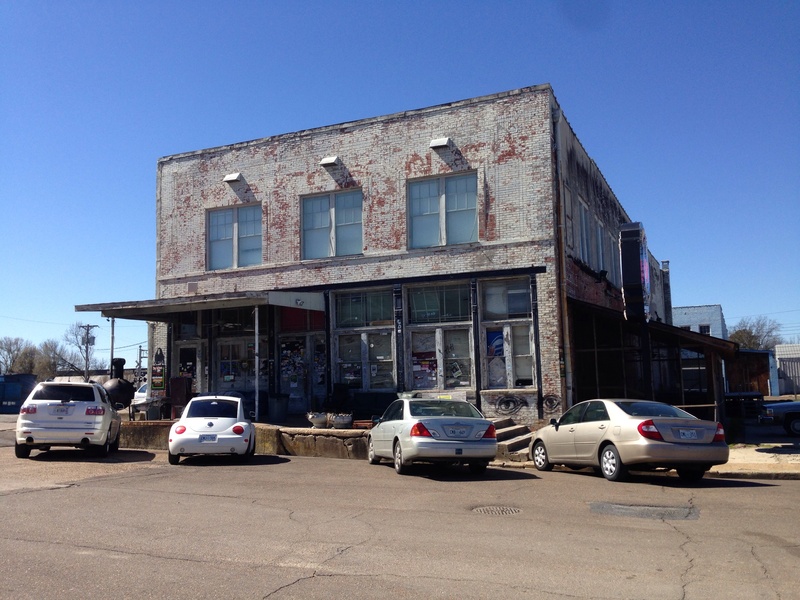 Clarksdale is an interesting town. I feel that I have sold my soul too many times, as well. Unfortunately, I didn’t get Robert Johnson type talent in return.